Well, Apple has just come out with some new phones that have terrible names: iPhone Xs and Xr or in caps XS and XR. There is a third iPhone, which is called the X max. Pronouncing these names is complicated but we already knew this. Its iPhone is pronounced “Ten Ess” and “Ten Are. Now that you know how to pronounce these phones, you are ready to spend your fortune to buy one. My last blog on Apple was on the iPhone 6 in 2015. Their iPhones have vastly improved since then. The iOS in iPhone 6 had a few glitches and these have removed. The trillion-dollar company went all out to make these phones extreme and more improved. These phones are the largest and the most expensive in the industry. You would think that Apple would give your budget a break. This is a company who had a very successful year and has sold its two billionth iOS device. Setting high prices for two of their phones is their way of keeping revenue up. On its website, Apple has said that the super Retina comes in two sizes with the largest display on any phone. To quote its page it has “faster face ID and the smartest and most powerful chip in a smartphone.” This liquid retina display is the fastest and most advanced in the industry. It also has a dual-camera system. This year’s iPhones resemble last year’s with no home button. But the improvements will amaze you or at least Apple hopes it will. Better cameras, faster processor and a longer battery life are featured but will it attract more buyers? It turns out that fewer customers are buying its present phones opting to hold on to their present phones. Apple to keep its revenue up is increasing its prices. Apple main competitor is Samsung who is selling their Galaxy Note for 900 dollars. Increasing its price did not work very well for Samsung. Will it work for Apple? I have a Note 8 but I wish I didn’t buy the more expensive model. I don’t use the note feature very much anymore. Apple will sell its Xs Maxs for 1449 dollars about $500 more than a Mac Book Air. I think that will be a tough sell, but Apple will offer its XRs for $749 for those who want a cheaper phone. It has a 6.1 display which is a different type of screen and less expensive to manufacture. The improved cameras allow you to refocus its pictures after people take them. 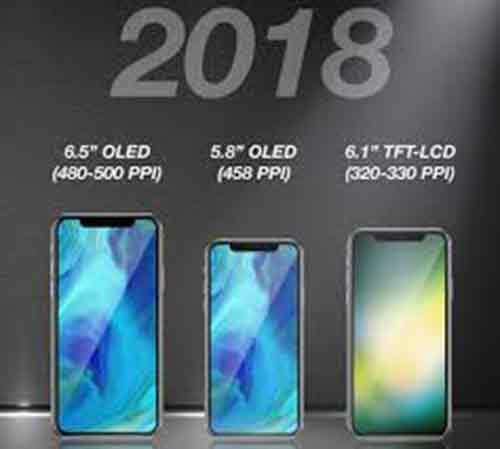 We have to wait and see what the future will portend for these Apple phones.